we work closely with our clients to make every excavation process successful. Established since 2010 and operating throughout Buckinghamshire and beyond including High Wycombe, Henley on Thames, Marlow, Maidenhead, Slough, Gerrards Cross, The Chalfonts, Amersham, Chesham, Princes Risborough and all surrounding areas. Whether you are a construction company and need a roll on roll off skip for heavy waste removal or you are a home owner who wants to clear unwanted rubbish from their garden, we have various sized skips to handle any project, no matter what size of your project. We are licensed waste carriers and will dispose of any type of waste materials quickly, efficiently and in an environmentally sound way, recycling as much of the waste as possible. We have numerous vehicles available for you to rent with or without our experienced operators, contact our friendly team for a competitive quotation or see our individual pages for more information. 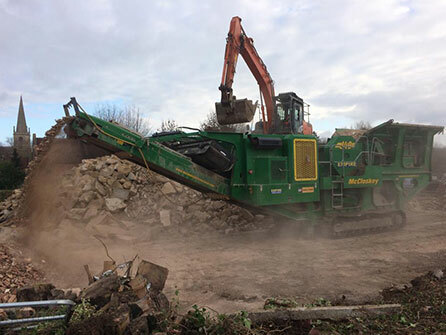 Recycled building materials such as crushed concrete and topsoil can be delivered to your site wherever and whenever you want it. 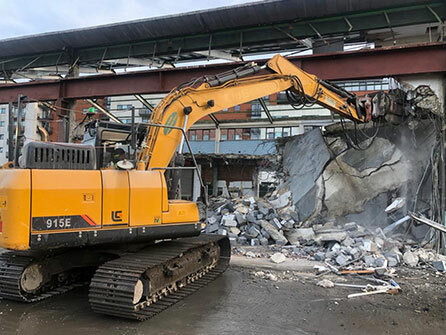 Putnam Construction Services are experts when it comes to demolition. 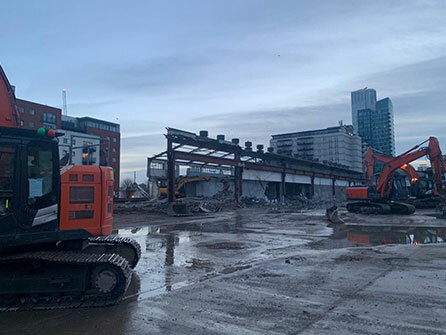 We have the most up to date machinery and tools along with a wealth of experience and know how to get the job done quickly and efficiently every time. 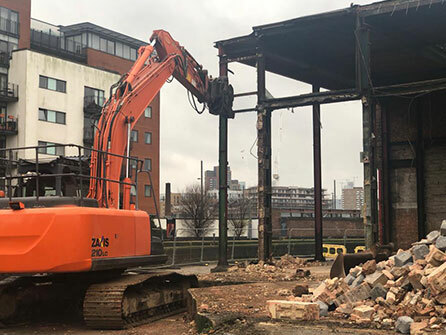 We have specialist excavators and modern machinery and tools to get rid of your unwanted waste from large scale projects in an environmentally friendly way and timely manner. Our friendly team welcome all enquiries, no matter how big or small and will handle your project professionally and efficiently from initial contact through to completion. Over the years we have become extremely efficient in dealing with all aspects of waste management and that is why we are so successful so call us today on 0800 999 8700, let go of your waste worries, let the professionals deal with it! The Putnam team worked really hard to make this construction as simple and efficient as possible. They really succeeded in delivering what they promised. Would highly recommend them and call them in the future!